Anyone remember me Fran Singleton ( nee Lane ) ? Lived on Norwood Crescent, had two sisters Margaret and Wendy. Attended Killamarsh infants, juniors and Secondary Schools. Went to Methodist Chapel Kircroft Lane, and moved to Brighton 1973. The photo is definitely from 1958. My mother (Beryl) has one of the small trophies shown on the front of the table. Dad (Ron) won this for “the largest perch”. Mum says it was the ONLY perch caught in the match! It was the only fishing trophy won by Dad and was very proud of it. The year is engraved on the trophy. The photo would have been taken in 1958 or 1959 considering my age then. No 30 is me! Definitely son and not daughter! No 23 is my Grandad Charles Batty. Howard. Sorry if i thought you were a girl, but its been a long time and i was convinced in my memories that you were.Your dad served me my first pint on my 18th birthday, or should i say my first legal one. A pint of mild your dad gave me. Happy days. kind regards, RonM. 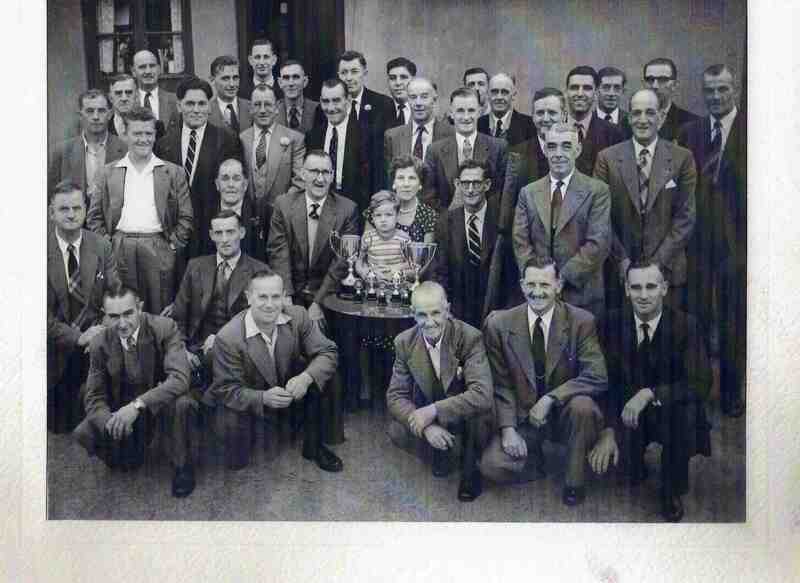 Could the man 4th up from the front on the far left be Ernest Hargate he was married to my dads half sister Audrey Lindley, it’s an old photo of course so I’m not sure does anyone else know him . I’m Ernest Hargate’s granddaughter and that is definitely him. I will show my mum (Glenys) the photo when I see her and see whether she recognises the others. Thank you to Ron Marshall for putting names to most of the people in this photograph. See the message below which gives a key which should enable you to work out who is who in the photograph. There are a few gaps remaining in the list, so if you can put names to these we would love to hear from you. 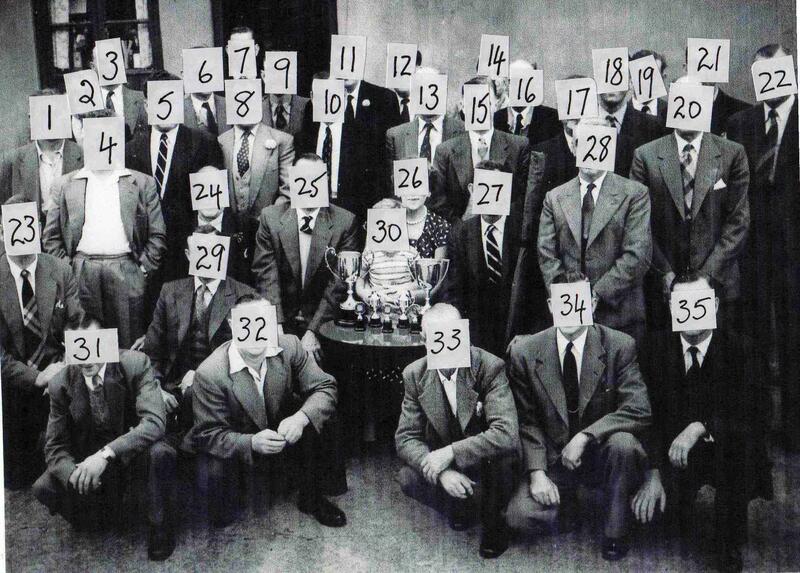 The photograph is of the Steelmelters Arms Fishing Club Prize Giving for the annual match. Circa 1955?